Skin needling therapy is known as the Micro-needling treatment also and it much more understandable by the term collagen induction therapy. It is a non-surgical procedure of skin treatment which may be applied all over the body, but mostly it is used on the facial part to make the skin rejuvenated. Needling may be suitable for all skin types, including ethnic skin and fragile skin around the eyes, mouth, and neck. Each needle punctures the skin so that it may create a micro-wound on that particular place. They are filled with the new collagen and elastins as well as new capillaries are formed. This treatment leads to the reduction of skin scars and skin rejuvenation. With this treatment, you may get improved and glowing skin texture with firmness and hydration. This is the reason why this micro needling treatment is much more popular than any other kind of skin treatment. Generally, this treatment is used to reduce scars due to surgery, burning, and acne. It is also helpful to reduce stretch marks, fine lines, and deep wrinkles. You may also choose this treatment to tighten the sagging skin as well. This treatment is much more popular than any other laser skin treatment or chemical peeling. Micro-needling treatment is a safer way to restore a healthy and youthful appearance of the skin with minimal or zero downtime. It is very unsafe for the skin to take surgical treatment to get the same benefits. 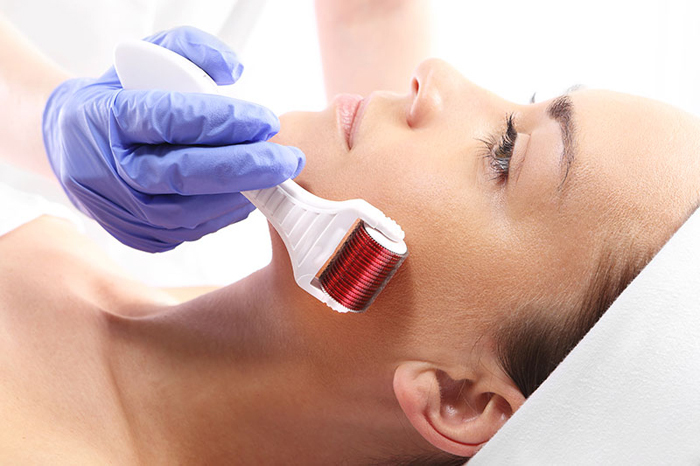 Micro-needling treatment is much more beneficial for thin and sensitive skin. It may reduce the risk of pigmentation and is also safer on dark skin. This treatment is always done under the clinical settings and quite cost effective for the users. Because of the total procedure is painless and irritation free, the surprising fact regarding this treatment is that skin remains intact and not damaged. You may easily find the difference between the treated and untreated skin. You need to take care of your skin after taking the micro needling treatment. You should use medically recommended sun protection regularly as medical guidance. You should be aware of redness or swelling as it depends on the penetration of the needle in the skin. You may use a gentle cleanser before going to bed with recommended lotions. The very next day you may use the other skin products according to the guidance of your skin care expert. You should also be aware of the wounded infection and you may use prescribed antibiotic creams if necessary. Your skin should be under medical and expert observation for the next few days and you may find rejuvenated skin within 2 weeks. But you may keep in mind that burn scars take a lot of time to respond properly. It may take at least 6 months to 1 year to respond properly. If you are mentally ready to get this service from the professionals, you may make an appointment with Complex City Spa. Our professional treatment ensures the highest safety standard and provides the total assurance for your skin as well.